Stewart, R. "11". 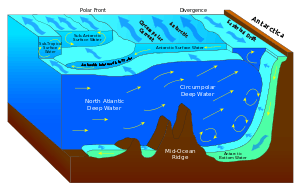 Wind Driven Ocean Circulation. ocianworld.tamu.edu. John H. Steele; et al. 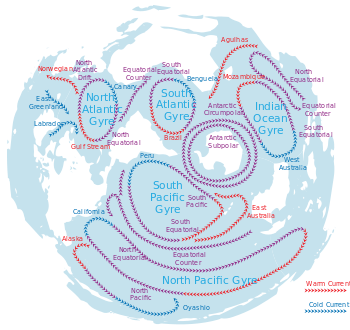 Ocean Currents: A Derivative of the Encyclopedia of Ocean Sciences. 1 2 Stommel, Henry (April 1948). 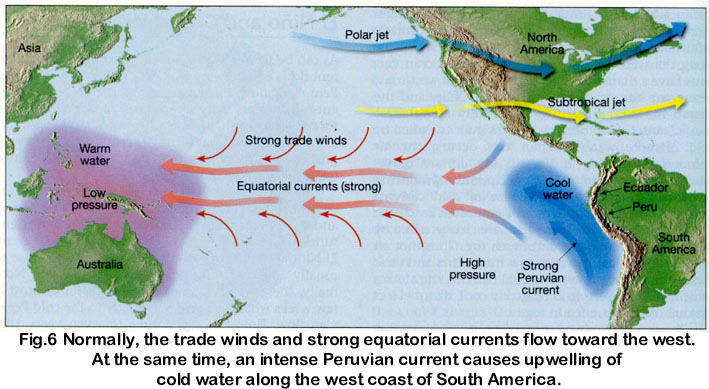 "The Westward Intensification of Wind-Driven Ocean Currents" (PDF). Transactions, American Geophysical Union. 29 (2): 202–206. doi:10.1029/tr029i002p00202. Retrieved 27 August 2012. ↑ Lynne D Talley; et al. 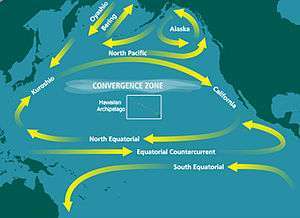 Descriptive Physical Oceanography. ↑ Berger, Wolfgang H.; Noble Shor, Elizabeth. Ocean: reflections on a century of exploration.